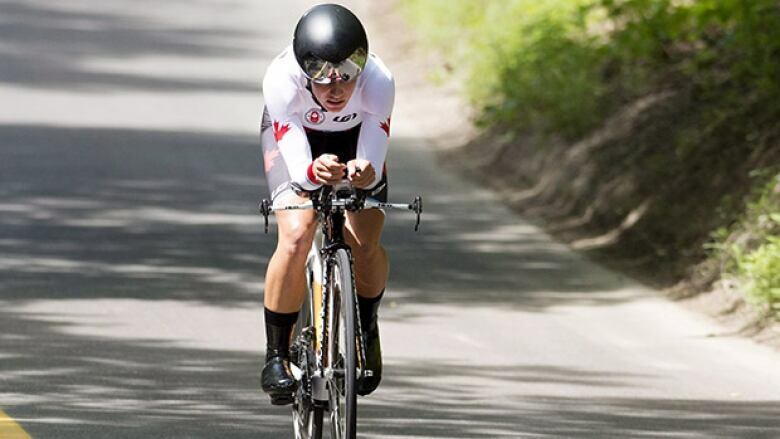 A flat tire stopped cycling gold-medal hopeful Jasmin Glaesser from winning the women's 19.5-kilometre individual time trial Wednesday, but it couldn't keep her off the podium. Despite experiencing a flat front tire midway through the race, the 23-year-old Canadian managed to get her bike back on the road claim a silver medal with a time of 27:01.31, only 0:35.73 behind American gold medalist Kelly Catlin. Glaesser's time was fourth best after the 10-kilometre mark of the race. By the time she finished, she had made up enough ground to salvage the silver.